Directed by John Lee Hancock. Starring Woody Harrelson, Kevin Costner, Kathy Bates, John Carroll Lynch, Kim Dickens, Thomas Mann, W. Earl Brown, Emily Brobst, and Edward Bossert. I’m all for bad ideas that could prove me wrong and turn out excellent. And let’s face it, a movie about the rather uninteresting former Texas Rangers that took down notorious killers and bank robbers Bonnie & Clyde in the 1930s is about as lame as they come. The real crime is that Bonnie & Clyde themselves have about five minutes of screen time in a movie that is well over two hours long (without a single justification for reaching that bloated length). 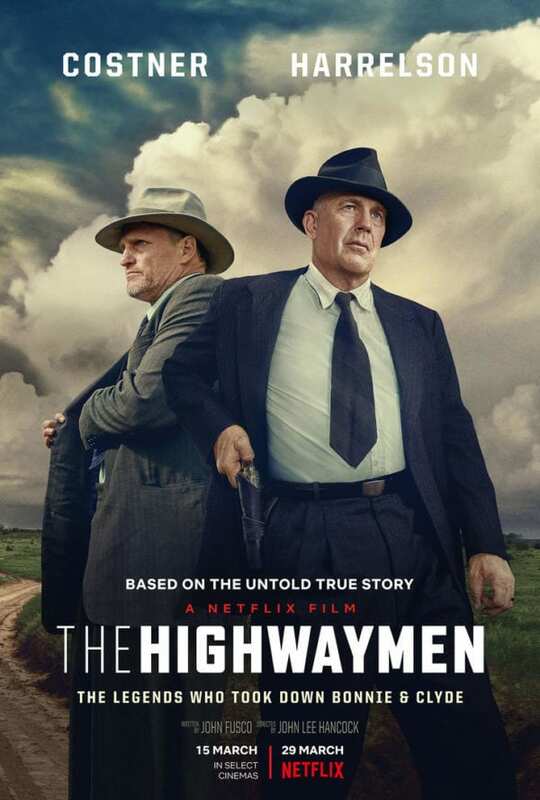 Yes, The Highwaymen (flatly directed by The Blind Side’s John Lee Hancock) does center on a pair of aged once upon a time police officers that went about their work during a looser era, but the movie also wants to make a juxtaposition between fame for the wrong reasons and those that get no attention for putting their lives on the line. The closest it comes to making any kind of worthwhile statement is the ending (which you probably might not even make it to considering how procedurally boring everything unfolds), thanks to some images that finally contrast the above. There is also a good line driving home that this feud between the different parties was highly personal, and that bringing down Bonnie & Clyde was not about yanking the fame out from underneath them. But here’s the thing, these officers never wanted fame, so making a film about them is somewhat counterproductive, especially considering there is nothing to write home about regarding their characters. It also doesn’t help that Kevin Costner and Woody Harrelson have zero chemistry together. They are both grizzled but capable and with their mind on the manhunt, while also being a couple of mundane family men that have no real distinguishable personality traits. 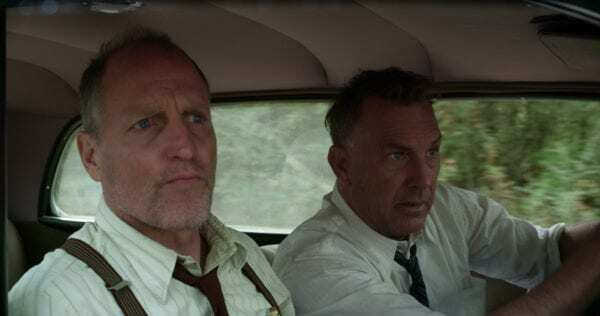 I don’t think I’ve ever seen a movie before where Woody Harrelson failed to give one laugh, but The Highwaymen does just that. Not to mention, nothing very exciting happens throughout the movie; all they do is drive around and talk to different contacts that may have some information. It’s kind of like watching someone play the video game LA Noire: drive somewhere, interrogate people for whatever juicy details you can get someone to slip, and rinse and repeat until the final showdown where the bullets finally fly. The key difference is that one of these experiences actually has good writing. 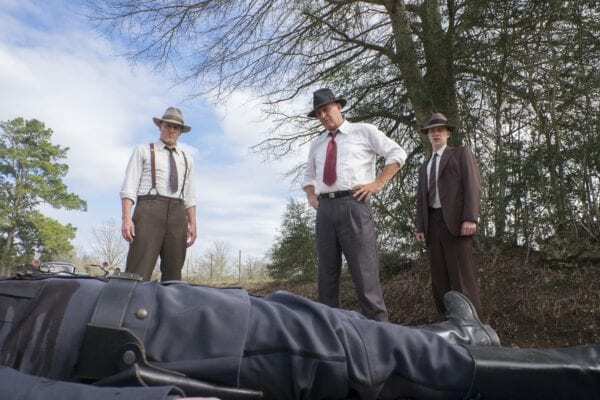 Towards the end, there’s a part where the officers monologue about how they became killers, and it was long before that point I had already checked out and wanted Bonnie & Clyde to bite the dust. Their death sequence is about as cathartic for the audience as these characters because we know the movie is finally about to mercifully come to an end. As a matter of fact, I couldn’t tell you who played Bonnie or Clyde and I really don’t care. The movie gives them nothing to do which, once again, feels like a crucial misstep since the themes of the movie want to explore both sides. It’s nice whenever they show up to kill someone, but it’s over far too soon and leaves you wanting more, most likely because Kevin Costner and Woody Harrelson are about as entertaining here as pieces of wood. 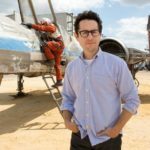 If their characters were able to carry the movie, this wouldn’t be as big of a problem. 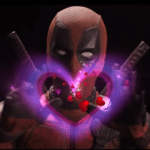 There are also some other supporting characters played by notable actors such as Kathy Bates and Thomas Mann, but their inclusion is also largely pointless. Kathy Bates especially could be removed from the entire movie without affecting the plot, and while you would still have an insufferably boring one, you would have an insufferably boring film that’s about 10 minutes shorter. 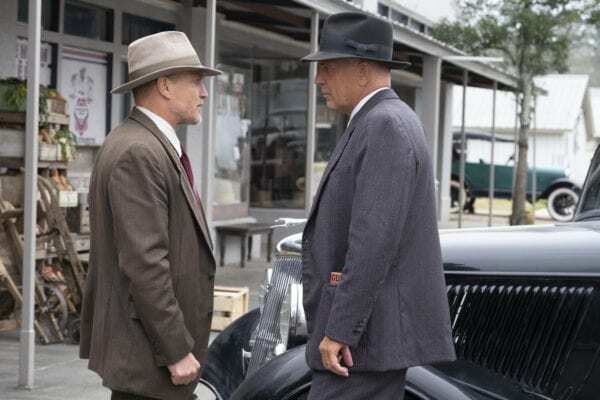 Aside from the actual takedowns of Bonnie & Clyde (which is quite awesome in its glorious overkill), there is one scene I can remember being compelled to pay attention to, a moment where Kevin Costner has a conversation with Clyde’s father about the makings of a mass criminal and more. I’m actually convinced that every supporting character in this movie is more interesting than the Texas Rangers, even the ones that serve no purpose.